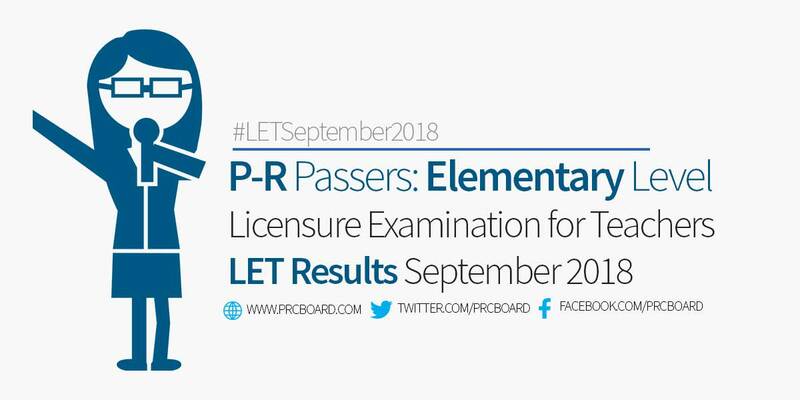 Below is the list of passers for September 2018 LET (Elementary Level) with surnames starting with letters P-R. When will be announce the result of PRC-LET examinations for elementary education. Hopefully, this december 4 po. God bless! Does the result will be released today? Lord God whatever d result. . I will accept it.. Feeling nervous. Can't wait the result, sana lahat pasado.